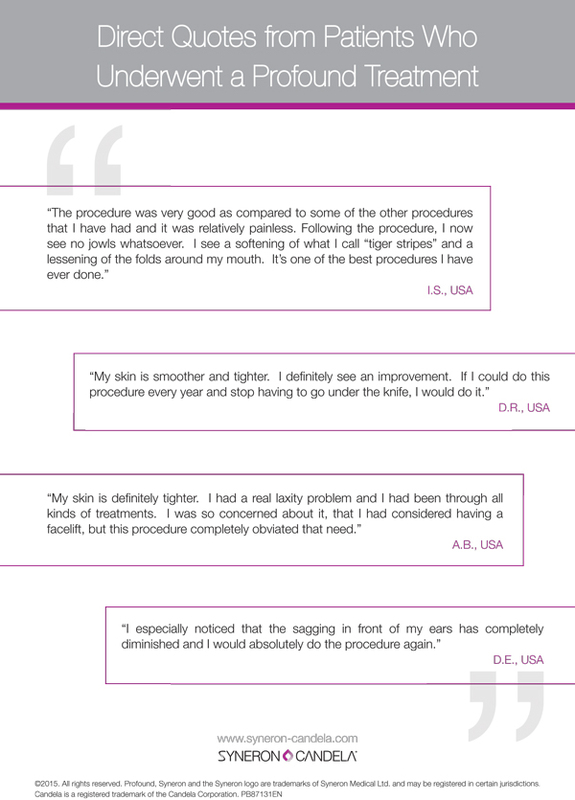 Profound is an amazing non-surgical procedure for tightening areas of the face and neck, by creating elastin, collagen and hyaluronic acid. And, it's ONLY in this area! 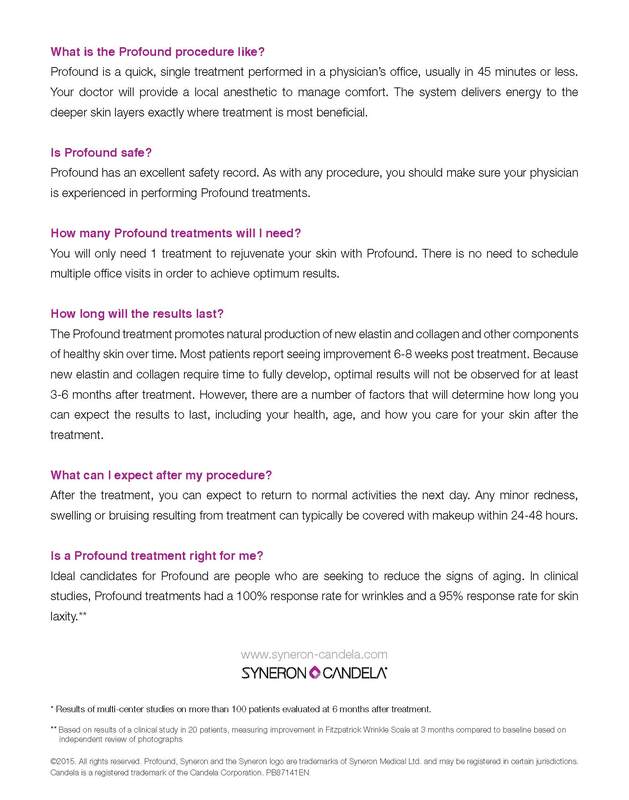 Profound is the 1st device to create all 3 skin fundamentals: elastin, collagen and hyaluronic acid. This non-surgical treatment is designed to help people who have sagging skin and loss of volume around the mouth, cheeks, and neck. A handheld device with tiny needles is placed on your skin, using radiofrequency technology, heat is released at a precise temperature and depth. You can expect about a week of downtime with some bruising and swelling. · Natural healing response at all skin levels. No fillers. No toxins.